Answer: Please contact the Resident Manager. Answer: A $500 refundable Security Deposit is required. Answer: Included are water, garbage, and sewer. Tenant is responsible for electricity, phone, internet, and cable. Is yard maintenance required by tenants or managers? Answer: All yard maintenance (mowing, weed eating, weeding, etc.) is the Tenant’s responsibility. However, for an additional fee, our Property Maintenance personnel will maintain this for you on a weekly basis. Are pets allowed? If so, how much are the fees? Answer: Pets are allowed. Non-Refundable Fees are: $300.00 per dog. The limit is one medium size dog up to 30lbs. or two small dogs (under 15 lbs.) per household. No Pit bulls, Rottweilers or Dobermans are allowed. We require $150.00 per cat, with a limit of two per household. How much is the screening fee? Answer: The screening fee is $40.00 per adult. If the adults have the same last name, only one fee ($40.00) is required. What do you look for in the screening? Answer: We run a credit report and criminal record for the past 7 years. Are campers and boats allowed? Answer: Campers, boats,RVs, and trailers are not allowed on the property, nor heavy trucks or equipment, i.e. semis, flatbeds,etc. However, on-site storage is available at the park or these items may be stored in the garage with the door closed. Is there a restriction on how many vehicles I can have parked on the property? Answer: Yes. There are allowed a maximum of 2 vehicles per household. All vehicles must have current registration, be operable, and not leaking any fluids. May I change the oil of my auto or do other repairs? Answer: No. Auto repairs are not allowed on the property, including an oil change. Answer: Renter’s Insurance is recommended, but not a requirement unless you have an aquarium or fish tank. What Health Care Facilities are in the area? 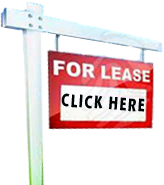 Washington Landlord Tenant Laws, the Rental Agreement or Lease, as well as the Rules and Regulations presented to, and signed by, the ‘Applicant’, supersede the information contained in the FAQ’s listed above.